Have some money saved from the holidays? Maybe a few B&H Photo Video gift cards? 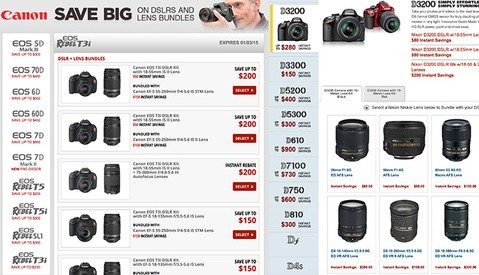 Now may be the perfect time to buy with savings of up to $900 and $850 on Nikon and Canon bundles, respectively. B&H Photo Video is offering instant rebates on most Nikon and Canon systems, including the newer Nikon D750, D610, and D4s, and Canon 7D Mark II, 5D Mark III, and 1D X. So you didn't get the new Sony a7 Camera you wanted for the holidays? Well there's still time to take advantage of Sony's trade-in incentives toward a new a7 camera and/or select lenses. In addition to the trade value of your working SLR or mirrorless camera, B&H is also offering 15% credit toward your purchase. I don't want to sound like an advertisement, but I had an opportunity to use the Sony a7 system recently for a product shoot and I'm definitely buying one. I just need to figure out whether to go with the a7, a7II, a7R, or a7S before this promotion expires on December 31st. As a professional photographer I have always been curious about the art of videography since the two seem to go hand in hand, but I have never made the jump to shooting my own content because I was always quite unsure of where to start. I wanted to quickly learn the basics and start shooting right away. I’m a visual learner, and I figured a crash course in an online tutorial would be my best bet, but searching for tutorials scattered across Youtube seemed tedious. Recently Jared Polin, better known as Fro from FroKnowsPhoto released a comprehensive guide to shooting video using a DSLR called The FroKnowsPhoto Guide to DSLR Video. 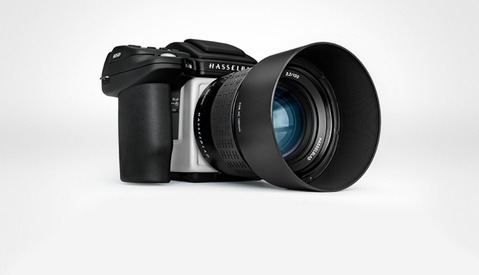 From now until December 24th, Hasselblad is offering 40 percent off of their H5D series of cameras and lens bundles. They are also offering 20 percent off of lenses when bought with H5D, H5X, and Certified Pre-Owned bodies. If you've been waiting for the right time to purchase a Hasselblad, this may be it. 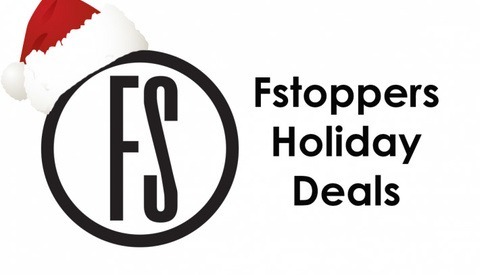 Steals, Deals, & Promo Codes For July 4th! Happy Independence Day! 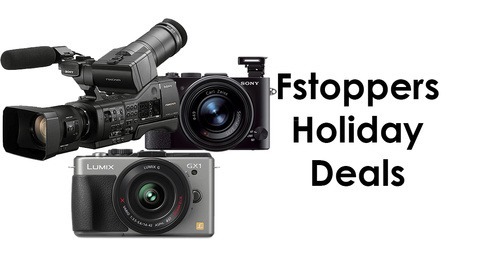 As with every holiday, companies roll out some of their best discounts for the year on gear and electronics. 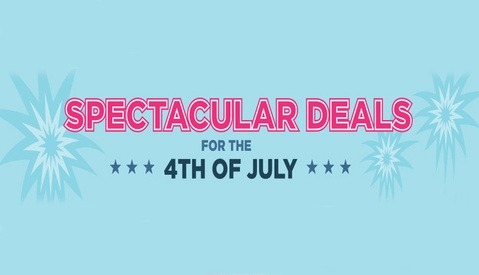 I have been researching to find the best deals for the Fourth of July, and have came up with a comprehensive list of websites and offers you should take advantage of immediately. If you are looking to pick up a new camera, stock-up on memory cards, finally get a new camera bag, or splurge on a new TV, this list has something for everyone. Oh man, less than two weeks until Christmas and you STILL haven't finished shopping. It's ok everyone, we're in the same boat. That's why we are continuing to update our Holiday Gear Guide to reflect the best gifts between $200 and $500 so you can make a big splash with some amazing stuff stuffed in those stockings. UPDATE: Though the B&H deal has expired, you can grab Lightroom 5 on Amazon for a cool $69. Lightroom 5, which was already on sale for under $110, for the next three hours (1 PM ET to 4 PM ET) is only $89. If you've wanted to own Lightroom 5 for a bargain-basement price, now is the time to grab it. For those of you who bought it at the $110 price, maybe there is still time to cancel the order and pick it up for cheaper. 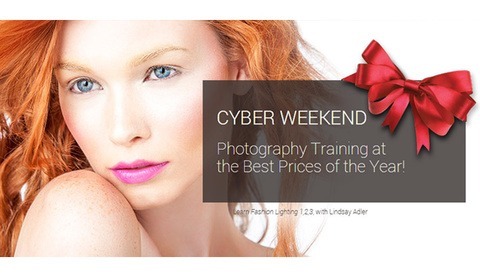 Today is the last day to save on photography training courses over at KelbyTraining.com. This is their biggest sale of the year so you don't want to pass this up. With over 700 hours of training from some of the best photographers in the world, they have discounted every subscription. Normally an annual subscription is $199 but they're offering $40 off and a monthly subscription is just $14.95. Well there is no avoiding it now that Thanksgiving is over and December has begun: the holidays are upon us. If you're still thinking about gifts for that photographer in your life (or yourself), we have updated our Holiday Gear Guide to reflect the best gifts between $100 and $200 for those of you with a little bit more set aside to afford to pack under the tree. Ah the week of Thanksgiving. Turkey, gravy, family and the harsh realization you are horrifically underprepared for the holiday season. That's ok fellow photogs, we at Fstoppers have your back! 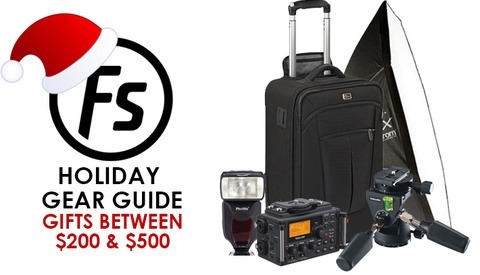 Over the next few weeks we will be releasing updates to our Holiday Gear Guide, first starting with the lower-cost items and working our way up to the premium stuff. 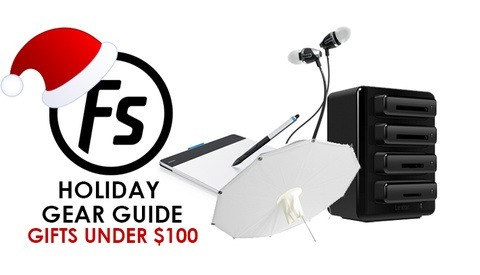 This week, let's look at the best ideas under $100. Think Tank and MindShift recently released a number of notable new travel products for photographers including the rotation180 backpack, 2nd Brain laptop collection and PowerHouse organizers. Designed by photographers for photographers, their gear excels in functionality and durability. 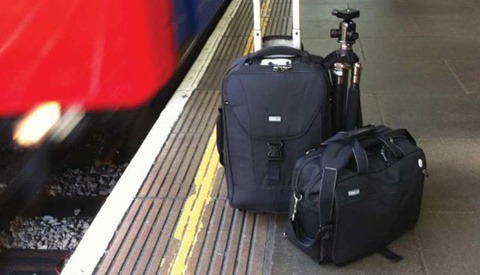 They are currently offering rebates on Rolling Camera Bags and Urban Disguise Shoulder Bags. Here are the details. Christmas Eve Deals From Lensbaby, Canon and More! So it's Christmas Eve, you've shopped for everyone under the sun, how about few more quick deals just in case you don't get exactly what you want for Christmas? 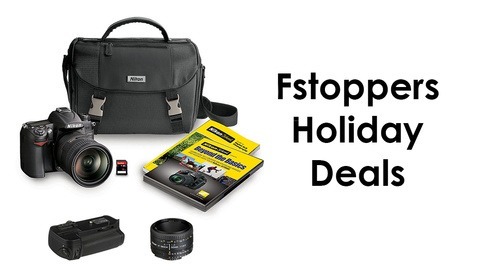 Save $50 on a big Lensbaby Pro Effects Kit as well as taking $80 off of the Canon Powershot SX150! Finally, take $150 off the Sigma 17-70mm f/2.8-4! Check out this massive discount on the Nikon D7000 bundled with the Nikon 18-200mm DX VR II and a ton of extras including a free Nikon 50mm f/1.8! You'll even get free overnight shipping through January 5th! Also, Impact is offering $85 dollars off its 3 pack of 7' Parabolic Umbrellas and the Canon EOS Rebel T3 with an 18-55mm IS II Lens is only $399.00! 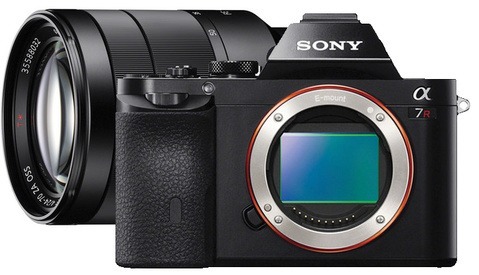 Full Frame Sony Compact Now In Stock! Plus $160 Off Panasonic LUMIX DMC-GX1! B&H now has the new Sony Full Frame Cyber Shot DSC-RX1 in stock with free overnight shipping! This incredible camera is one of the first of its kind, pairing a massive full frame CMOS sensor and fast Carl Zeiss Sonnar T* Lens with an ultra compact body. In addition to this the Panasonic LUMIX DMC-GX1 is now $160 dollars off! The Canon 5D MK II is $400 off! Plus free accessories! Looking to make your way into shooting full frame digital on a budget? Well B&H has just announced a big price cut for the Canon 5D MK II! This is also an excellent second body for anyone looking for a back up so if you're in the Canon camp, this is definitely a deal you don't want to miss out on. Just add the camera to your cart to take advantage of this big price cut through January 5th.